Looking to save some money on Healthy Paws pet insurance? Canine Journal has an exclusive deal just for our readers. Yes, that means you! We’ll keep this page updated with the latest discounts, coupons and promo codes so that you can save big. We’ll also inform you of some of the major reasons to insure your dog with Healthy Paws. 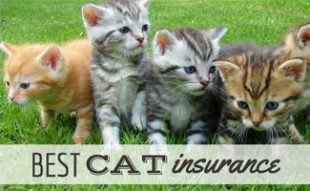 Which Pet Insurance Should I Choose? You should choose pet insurance based on your pet’s needs. Take an audit of what illnesses and accidents you want to be covered for your dog or cat by making a list of the coverage options that are most important to you. You may even want to prioritize them to make it easier to decide. Of course, another major factor to consider is your budget. 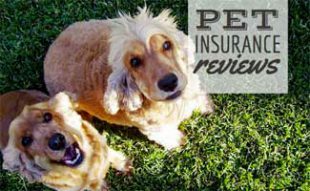 After you’ve made your list and have a budget in mind, take a look at our Pet Insurance Reviews article to get a better idea of which company matches up best with your list. 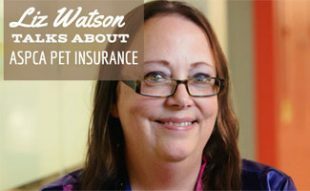 You’ll also learn why Healthy Paws is one of the best national pet insurance companies. Why Is Healthy Paws A Good Choice? Healthy Paws covers so much of what most dog owners need. It pays for most congenital and hereditary conditions, including hip dysplasia. Its unlimited lifetime coverage and annual deductible take a lot of the financial risk out of pet injuries, illnesses and emergencies too. 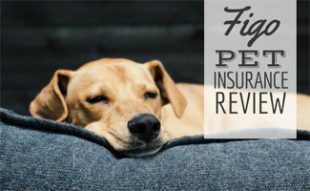 With a high customer satisfaction level and fast reimbursements at a good price, most customers are happy with Healthy Paws as their dog insurance pick. Have you gotten a quote from Healthy Paws? Is this discount for life or just the first year like with Pets Best? The discount is on the policy for the life of the policy unless a state will no longer allow the discount. The promo code doesn’t work. I am in Florida and use your link or not…..same price. Hi Janet, you probably clicked our link first, once you did that a cookie was set and you will always see a discount. If you run the quote again in a private window, you will see a higher rate. Is there a way to find the Healthy Paws discount range for all states? I’m in NC, curious as to what the discount will be. Oh does the website show it? Okay, I went through all the quote steps all the way to the credit card payment page and got a pretty good rate, but I’m not sure what my discount percentage ended up being. Is there a way to find that out? We have residence in two states (NC and CA), and I’d like to maximize my savings. If you click through with our Healthy Paws promo code link the 10% discount will automatically be displayed. The 10% discount is what people in every state receive with our coupon code. Does that make sense Ruthie? Depending on how you got to the site initially, you may have already had the 10% discount applied for your original visit (it is automatically applied). However, if you want to make sure, call or email the Healthy Paws’ Customer Care Team at (855) 898-8991 or ClaimsTeam@GoHealthyPaws.com (be sure to mention CanineJournal.com to ensure your proper discount is applied). As for the quote form, there is a check box at the bottom of the quote screen that says “Yes. I have a promo code.” Checking that box makes the promo code field appear. Then you can enter ‘SAVE10’ to make sure you are getting the 10% discount. The Save10 code offers approx 4% off both online and with customer service. They say their prices are already discounted by 5%. It would make sense if the code was SAVE4 or YMMV! This is what Healthy Paws sent us: The SAVE10 Code offers 10% off the base rates we filed with the states. For enrolling online we give a 5% discount off the base rate. So the SAVE10 gives you an additional 5% for a total of 10% off of our base rates. If they call in with questions, the agent will typically ask if they found us online and if they have any promo codes so they can give them the most competitive rate. Thank you both for following up. Your active role in confirming the accuracy of the information published here has raised my confidence in your website. However, I do not buy Healthy Paw’s answer. 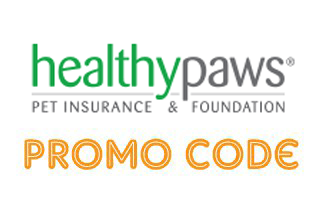 A rational expectation is that Healthy Paw’s promo code for 10% of their displayed price (listed here and on other sites) should discount their displayed premiums (discounted or not) by 10%. If HP does not want to honor its code, it should make a statement to that effect instead of allowing site visitors believe the promo code was applied correctly. Healthy Paw’s failure to deliver at this preliminary stage generates doubt in my mind and has me looking at their competitors. We completely respect your decision. Thank you for explaining your reasoning to us and please let us know if you need help choosing a pet insurance provider. We’d be happy to help you in any way you need!